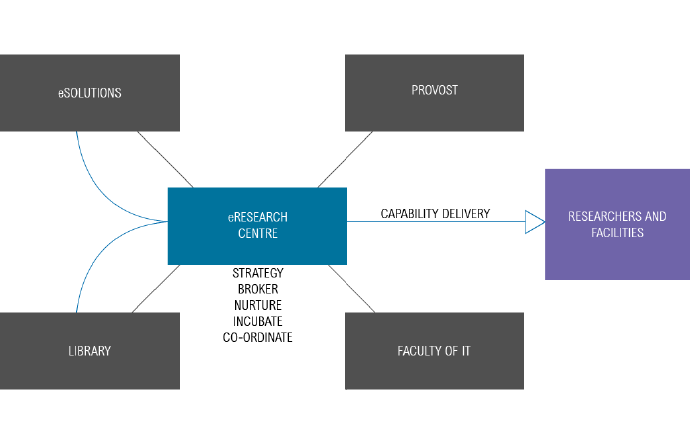 The Monash eResearch Centre (MeRC) is a Monash Technology Research Platform and was established in 2006. Since its beginning, it has grown in size and its capabilities now underpin the research of over 2000+ researchers within Monash and around Australia. MeRC is a University commitment to accelerating research by applying advanced computing and information technology to important research problems. The centre partners with individual researchers, Australian research institutions and facilities and global research communities. MeRC is a leader amongst international eResearch initiatives and runs a number of national projects including the MASSIVE high performance computing facility, R@CMon - a node of the Australian Research Cloud, petascale data storage infrastructure, and the national Characterisation Virtual Laboratory. Staff at the Monash eResearch Centre deliver impact: we help visualise how the human brain is connected, we design high performance computing systems, we write data processing workflows for one-of-a-kind Australian microscopes, and we write smart software for interrogating unique data collections. MeRC is driven by the quality and passion of our staff, and the partnership with the researchers we work with. 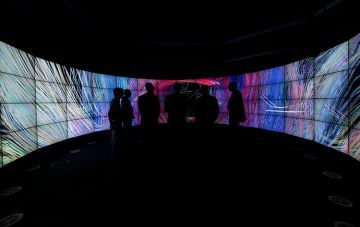 The Monash eResearch Centre supports research by partnering with research groups, instrument facilities, technology companies and IT service providers, providing advice and access to advanced computational and data infrastructure. Its aim is to accelerate the research process and to improve the quality and impact of Monash University’s research through eResearch expertise, cutting-edge technology and community engagement.